First up for today, it’s another lengthy article response – again by Migo on demi-human level limits. Sean K. Reynolds original rant on the topic. Editorial0’s take on the Sean K. Reynolds Rant. My article on what they were about in the first place – since Sean K. Reynolds seemed to have missed the point. My article replying to a response from “Migo” to the “What they Were About” article. There’s also a comment-response from Editorial0 on the end of this article. So instead what we have in either case, is even in the 80s, once the game was out of Gary’s control, the level limits got fixed. And I maintain that no thought was put into them, particularly in 1st Edition. When I first looked through OSRIC I thought it was in error. Elves having Wizard be their highest level class makes sense, Thief just doesn’t. Half-Orc was the only one that ended up making sense since it got Assassin instead. Putting thought into it would have at least had the level limits make sense internally, if not in comparison to humans. Unfortunately, disagreeing with the logic or conclusion, doesn’t mean that no thought was put into something. The logic you’re looking for there is very simple: In first edition, thieves eventually got high skill levels in a short list of thieving skills – and nothing much else. The assumption underlying demihumans getting unlimited advancement as thieves was that becoming a skilled thief did not require a humans special ability to exceed natural limits. Secondarily, you’re assuming that your personal biases are universal. Why should “Wizard” (actually Magic User in the editions we’re talking about) be an elves strongest aptitude? You can’t argue “realism” about a creature that never actually existed. You can’t argue Tolkien; all of his “Wizards” were actually angelic creatures disguised as humans. Classical European elves were never spellcasters, they used inherent powers of glamour and enchantment. Germanic elves were crafters, and were hard to tell apart from dwarves. Australian aborigines, Amerindians, and many other cultures all had their own notions of what elves and elf-like creatures were like – and none of them matched what they’re like in AD&D. I can’t think of a single example of a traditional elf, and not many elves in fantasy literature beyond the stuff that’s directly derived from D&D, who fiddles around with spellbooks and learns specific spells. For many traditional elves, some sort of vague psychic powers fits them a lot better. In other traditions, thieving abilities fit a lot better. In still others, they should be bodiless energy beings projecting an illusion of solidity through mysterious forces. 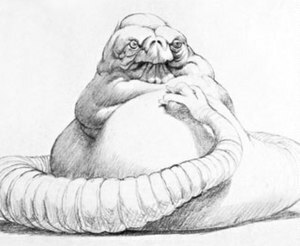 Your argument here boils down to “If I’d written this, I would have written up this species differently!” – which may be true, but is still the same as arguing that “Jabba the Hutt should be a lot more mobile, have differently colored skin, and have eight tentacles like an octopus!”. You didn’t write it, and the people who did write it are entitled to put their own ideas into it. Nope, and I’m not sure what reading error you made to come to that conclusion. It’s very simple; your description of what “multiclassing” would accomplish conforms to third edition principles and not to how it worked in first and second edition. Since mechanics of older editions are the topic of discussion, this indicates either (1) confusion about those mechanics (which is reasonable enough when you’re discussing an edition which is long out of print), or (2) poor wording resulting in a communications failure. The presumption of communications failure leaves no way of answering, since I then have no way of knowing what you’re trying to say, Ergo, I can only presume that you said what you meant. Since you indicate that the confusion is not in the mechanics, would you care to supply some examples of what you did mean and how it was supposed to work? They were in there because Gary couldn’t think of anything better. They never accomplished it anyway, because either nobody hit those levels because the campaign stopped well before 9th level or they just decided to throw them out. For them to accomplish anything, they’d need to have been used, rather than just percolating in Gary’s head. Nobody liked it, everyone thought it was stupid. The BECMI line axed it. 3rd ed axed it. No other RPG made ever decided to include it. Nobody misses it. It didn’t accomplish anything it set out to do, particularly with module writers throwing in their Mary Sues who broke the rules anyway. This segment contains quite a few fairly basic errors – enough so that it needs to be addressed pretty much one sentence at a time. They were in there because Gary couldn’t think of anything better. As pointed out in the initial article, they worked perfectly. Your basic error here is the presumption that demi-human level limits were necessarily directed at player characters. Level limits existed to justify the setting – which was supposed to be a world that existed long before the player characters appeared on the stage and would presumably continue long after they were all dead. That’s also why monsters had notes on their ecological roles and there were some basic attempts at explaining how magic worked; it was all so that the setting made a reasonable amount of sense. They never accomplished it anyway, because either nobody hit those levels because the campaign stopped well before 9th level or they just decided to throw them out. For them to accomplish anything, they’d need to have been used, rather than just percolating in Gary’s head. This segment, of course, is flatly wrong in several ways. First up, it didn’t matter whether or not player characters ever reached those levels, since the level limits were designed to maintain the setting on a global scale. They meant that there wouldn’t be a swarm of ancient elven archmagi out there to run the world – or player questions as to why there weren’t. Secondarily, of course, rather a lot of games did go on that long. The highest level I can recall one of the players in my campaigns reaching was thirty-eight – although it did take him ten and a half years of weekly sessions. I, personally, played in quite a few campaigns that lasted for two or three years and reached high levels. While the short campaigns that aborted within three or four sessions outnumbered the long ones, the vast majority of actual gaming time was spent in long campaigns simply because one three-year campaign with a hundred and fifty sessions provided a lot more actual gaming time then the twelve sessions involved in three one-month campaigns. Nobody liked it, everyone thought it was stupid. The BECMI line axed it. 3rd ed axed it. From direct observation, quite a lot of people thought that it worked just fine. Despite the fact that a LOT of other games came out, first edition AD&D was one of the most important and well-supported games out there from 1978 to 1989. The second edition ran from 1989 to 2003. If a game contained a fundamental flaw that everyone hated, don’t you think that the publishers would have come out with some errata on that flaw over a twenty-five year period? Now, third edition did “axe it” – along with changing a great deal of the rest of the mechanics. Enough in fact that, as I noted in the first article, nonhuman level limits no longer served much of a purpose. Third edition, of course, had other problems – as would be expected of a system that had a complete redesign. No other RPG made ever decided to include it. Hm… Lets see; the Palladium RPG (like many others) set non-human level limits in many classes even more stringently; they were “zero” – and humans dominated in many roles. A lot of games, like Prince Valiant, Pendragon, Elric, Call of Cthulhu, and Empire of the Petal Throne, simply barred nonhumans from play – so that, once again, humans dominated. Rolemaster used varying development costs for their races, which neatly forced nonhumans into their chosen roles by crippling attempts to have them do anything else. Ysgarth used much the same mechanism – but also limited humans. As a result, in the Ysgarth universe, humans did not dominate. Chivalry and Sorcery simply specified the professions of most of the playable nonhumans; humans dominated because the elves were (for unspecified reasons) vanishingly scarce and could not use iron or steel, while dwarves could make magical items, but couldn’t do much else. The Fantasy Trip let humans dominate by making the differences between races cosmetic and letting humans breed faster and thrive in more environments than any other race. Lejentia didn’t restrict anyone – which was why Elves completely dominated that setting. Plenty of other AD&D clones included level limits in one form or another too. This is closer to being right than anything else in this paragraph. There aren’t many people who miss that rule. I don’t miss it either, although – if I were to start another first edition game at this point – I’d either put in some other reason why humans dominated, run a setting where they didn’t, or include it. There are, however, people out there who do miss it. Otherwise there wouldn’t be rants out there – like the one Editorial0 was responding to that started this discussion – about “why I’m not bringing them back!” – or people who have re-instituted level limits, such as you’d find in James Starlights material over HERE. Of course, this is also totally irrelevant. The article is about why they were in the rules in the first place – not about whether anyone misses them. Similarly, it was not presenting an argument for bringing them back. It didn’t accomplish anything it set out to do, particularly with module writers throwing in their Mary Sues who broke the rules anyway. Really? What it set out to do was to justify having a human-dominated world – in which were set a rather large number of novels, modules, and related products. It did that very nicely. Your argument here is self-contradictory in any case however. If the demi-human level limits had no effect, why would anyone care? As for module writers… most of the official modules did indeed obey the rules. Would you care to point out some examples from TSR that did not? Everything that they’re cooperating on. Might be a -4 bonus depending on the action. Not, in that case, saving throws, individual combats, and similar situations. Still, that would indeed be quite handy. Of course, if the optional non-weapon proficiencies are in use it would also make humans pre-eminent in pretty much every practical art – neatly contradicting the notions that dwarves are particularly noted for stonework and forging metal, or any similar ideas, If non-weapon proficiencies are not in use – and they were an optional later rule – this has no real effect on the 99.9% of the people in the world who did practical work, rather than going adventuring. For every high level elf wizard, there’s 50 human arch mages. Even using the optional high campaign rules, there’s really no power difference after level 21, and no way a single elf wizard could match up against a group of humans – spells don’t get more powerful, the only difference is the number of spells being cast, and the elf is still stuck at 1/round. For every high level elf wizard, there’s 50 human arch mages. Becoming an Arch-mage (the official level eighteen title) required 3,000,001 XP. A human Magic-User could expect to start at an average age of 33, and could expect to live to be a little bit past ninety – presuming that he or she didn’t dabble in magic that accelerated aging (which was common and unlimited, as opposed to rare and severely limited life-extending magic). He’d have about sixty years to gain XP in, and would need to gain 137 XP per day to make it to Archmage just before he keeled over and died. A Gray Elf Magic-User could expect to start at an average age of 168 and could expect to live to be 1571 years old on the average. Experience point gains were not pro-rated by level, so such an elf could reasonably expect to continue gaining XP, just as a human would. Hm. Our Elf would hit level eighteen at age 228 – and spend the next 1343 years as an archmage, gaining still more power. By the time our gray elf dies, he or she can reasonably expect to have 67,156,715 XP – enough to attain level 189. Now, an awful lot of characters die trying to gain power quickly – but an elf can take it slow and easy. Only leveling at one-tenth the rate of a human to reduce casualties by 90% or more? Our elf will still make archmage by age 768, and will continue to be one for centuries longer. So a human may be an archmage for a few years – but most human magi died young, simply because most adventurers died young unless they were very cautious (and thus gained experience far more slowly). Elves could afford to be very cautions and still make Archmage. Easily. If we fast track both humans and elves (and assume a lot of elves die young too), it will take a succession of 661 human archmagi in succession – each very old and only lasting a few years – to even come close to matching up to the impact of ONE elven archmage over his or her lifespan. If the elves take it easy, and increase the number of them who survive to be archmagi by a factor of ten or so, they’ll only be archmagi half as long – so now, while it only takes only 330 human archmagi in succession to match one elven archmage, but now there are ten times as many elven archmagi as a percentage of the elven population. Even using the optional high campaign rules, there’s really no power difference after level 21, and no way a single elf wizard could match up against a group of humans – spells don’t get more powerful, the only difference is the number of spells being cast, and the elf is still stuck at 1/round. I’m afraid this is wrong again – and not just because you’re assuming that high-level human wizards would outnumber elven ones. Looking in the first edition Players Handbook, you’ll find that the spells per day tables continued up to level twenty-nine – and there were instructions for extending those tables indefinitely. There were no damage caps on spells either – which meant that a 50’th level elvish archmage could do an average of 62 damage with a single, one-segment casting time, Magic Missile spell. A new human archmage – even presuming a maximum non-fighter constitution bonus – would average 56 HP. Are you really trying to argue that a 25-shot magic missile or a fifty-die fireball is no more powerful than a nine-shot magic missile or an eighteen die fireball? In other words, our elven archmage has a better than 70% chance of instantly killing our human archmage in round one, at the cost of a single first level spell, and without taking damage. If he loses the first rounds initiative, our elven uber-mage will almost certainly live (thanks to having more hit points) to instantly take out the human mage when he gets to act – or to have the same chance again the next round. What all this tells us is that – in first edition, without the level limits – humans have to be assumed to outnumber the elves by several thousand to one to maintain anything even approaching high-level character parity. Worse, it’s the high-level characters who dominate the system. That’s OK for a generation or two – but over time, more competent elven families will inevitably be slowly edging out the human peasants. Per individual, they’ll make more money, they’ll be able to buy more land, and they’ll be able to defend it better. Whether we like it or not, Gary Gygax did the math and stuck by his results. Now, you don’t HAVE to do the same – and if you set up a differing game system, you’ll come up with different results – but if you don’t do the math and make sure that the results are reflected in the setting, you’ll find that your world will not stand up to investigative players over long-term play. “Nobody hit those levels because the campaign stopped well before 9th level”? I’d say that you’ve pretty much proved the point right there. I ran a weekly campaign (with occasional extra sessions) from 1987 through 1999 that only stopped because I had to move to another state – and the occasional internet, phone, and vacation visit update sessions finally ran down about 2008. There were house rules of course; but they were pretty well codified by 1986, before that game even started – and I made sure that I’d carefully examined how each of those rules would interact with the setting and the rest of the rules before introducing them. There are lots of other ways to kill a campaign of course, but failing to make sure that your setting makes sense is one of the most deadly long-term campaign poisons out there, and one of the subtlest. It can kill your campaign while you’re still giving every player exactly what they say they want, and you’ll never even know what went wrong. Your game just – somehow – gets a bit less engaging every session until people start doing something else. It is ratehr funny that we keep winding up defending things neither of us has any interest in or even agrees with. My general rule is almost every compliment people pay or defense they offer (to an idea or person or whatever) is flat wrong, and nearly every attack they make is logically self-defeating. Oh I don’t know… It’s not so much “defending” the position as wanting it and its history clearly understood. I hate seeing people insisting that something was a failure when they clearly don’t understand what it was supposed to do. It’s like seeing someone returning a bicycle because it was labeled a “touring bike” and they can’t find an internet connection on it anywhere.